Hey hey hey! 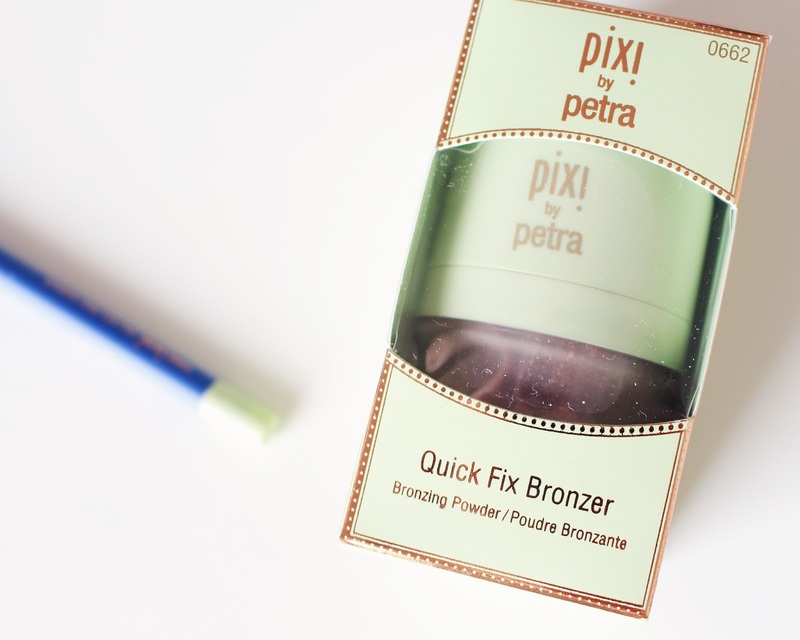 Today I have another exciting post for you which is in collaboration with Pixi Beauty! 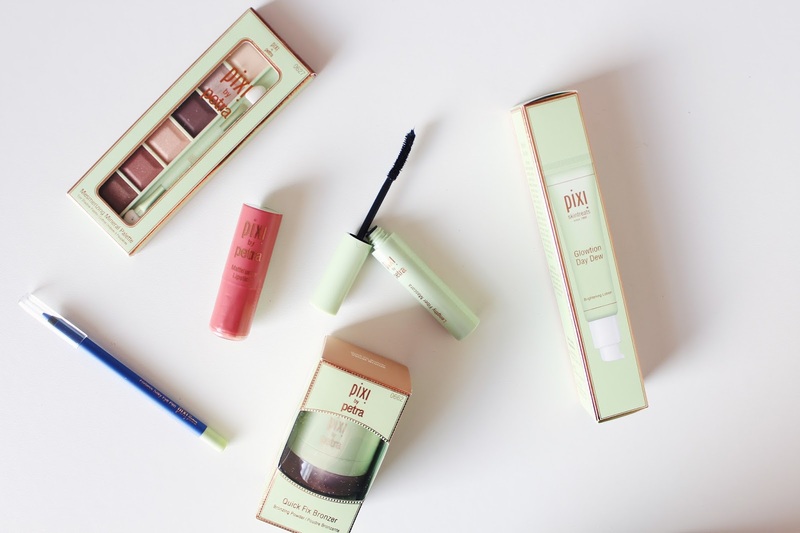 They kindly sent over some of their lovely products for me to try out that are perfect for creating a light weight healthy spring make up look and I'm going to give you a little look at them all! 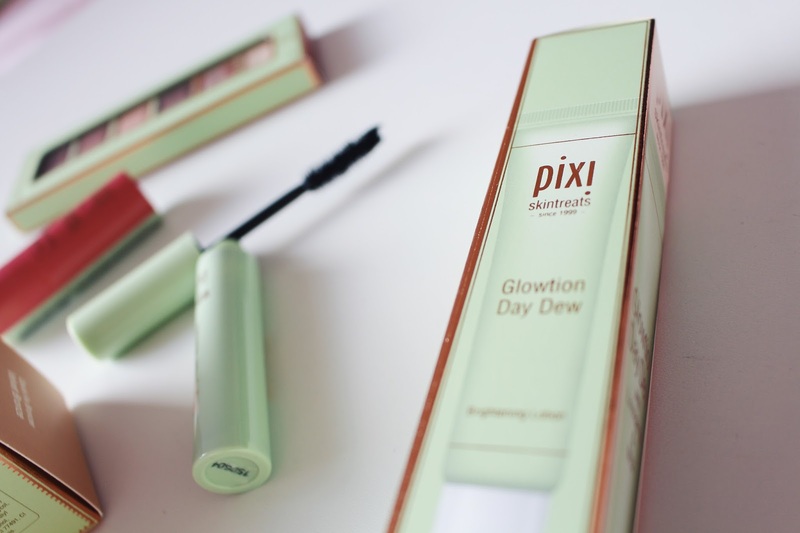 Pixi Skin Treats Glowtion Day Dew - This is an illuminating daily moisturiser, perfect for dull skin types. It contains Lavender Oil which helps to calm the skin and also Mica which helps to brighten. 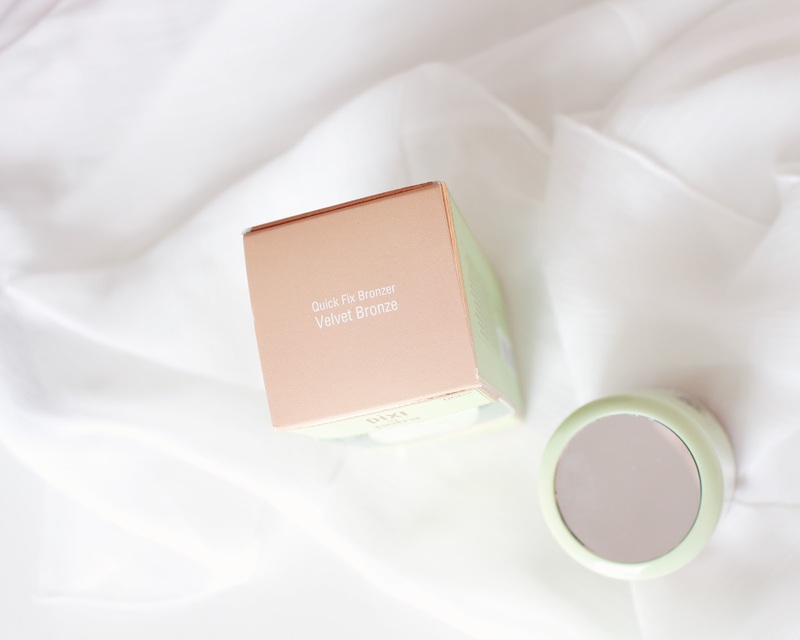 It's lightweight and smooths the skin, creating the most amazing base for your make up and is also great at reducing redness too! So, if you're skin is looking a little lacklustre, this will hydrate and nourish your skin until it's lovely and glowy again! 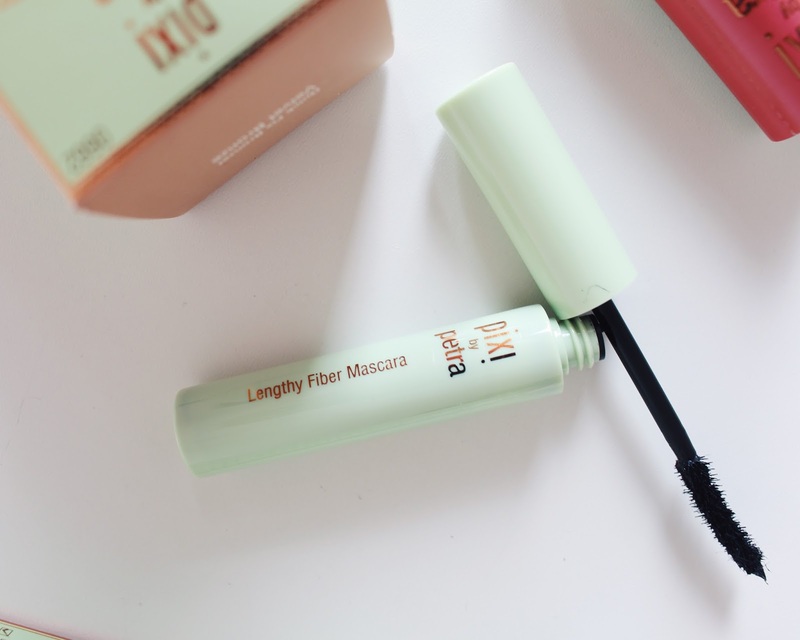 and it manages to keep your lashes looking plump and full all day, almost as if you were actually wearing some falsies! 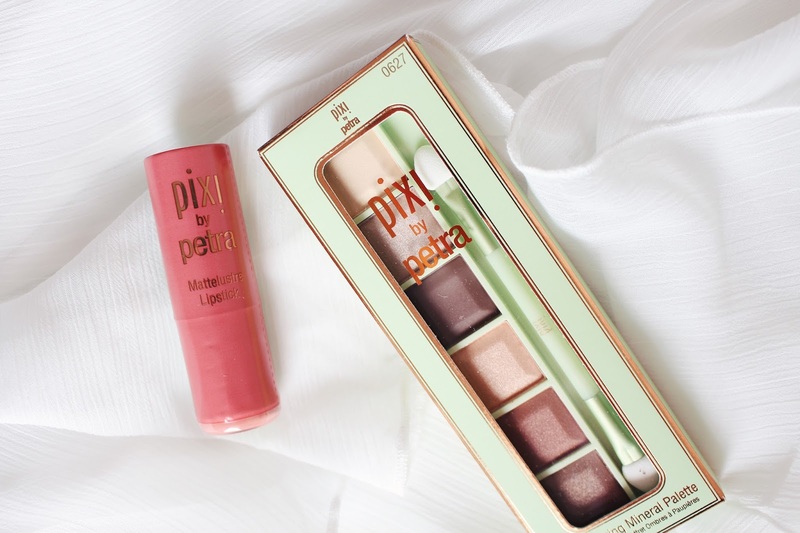 Pixi Mesmerizing Mineral Palette - I received this palette in Copper Peach which features peach, bronze and russet shades. This is perfect for an every day natural look but is also great if you're looking to create a darker evening look! The shadows are lovely and soft and have a pretty bit of shimmer in them (that isn't at all irritating on the eyes). 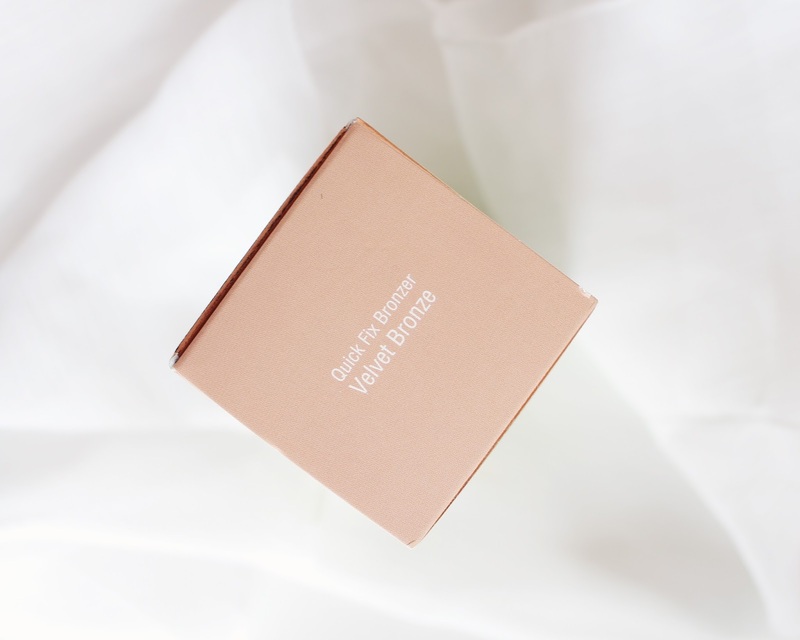 These shades are brilliant to build upon and I would say that if you're just starting out using make up or just really love a simple look, this palette is for you! Plus, it's only £15! 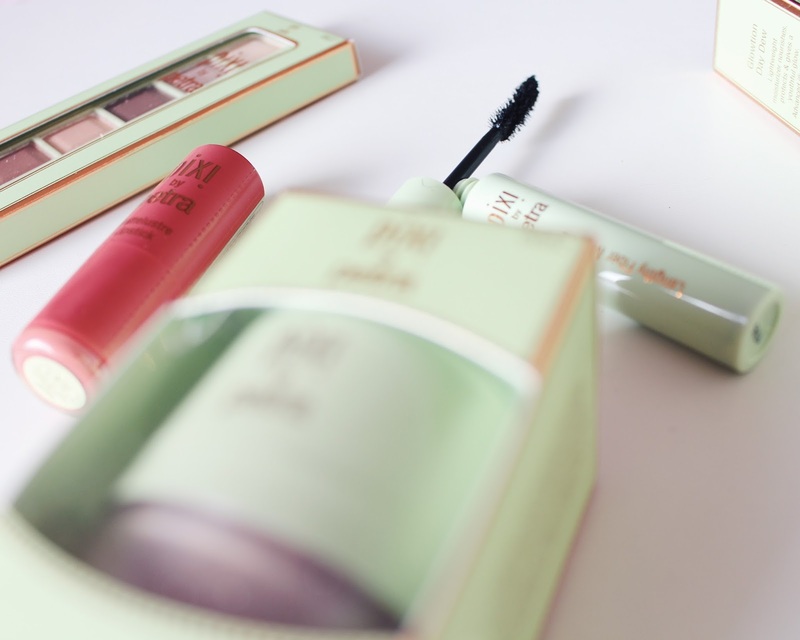 The shades are said to enhance your natural eye beauty - how lovely! 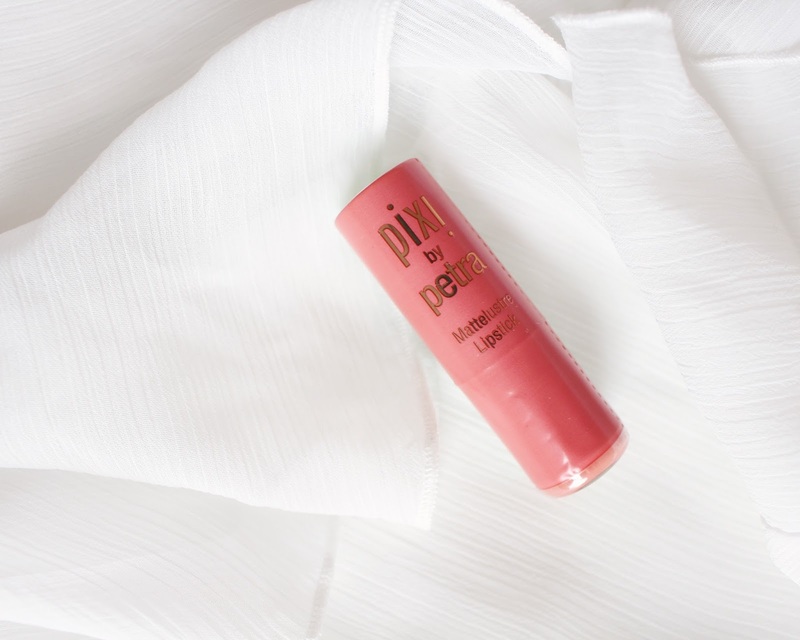 Pixi Matte Lustre Lipstick - I already have one of these amazing lipsticks in the exact same shade, Peach Blossom, and I just love them. They go on so super smoothly and last forever on the lips. They're really hydrating and creamy, which I prefer in my lip products, and also plump up the lips and contain vitamins C & E to help make them smoother- so, an all round thumbs up! Pixi Endless Silky Eye Pen - I'm no pro at eye liners due to the fact that I don't ever wear it, but from my few experiences with liner, I can definitely say that this is pretty damn good! It's incredibly waterproof and just doesn't seem to budge throughout the day. It applies easily as it's super soft and smooth and they come in so many exciting shades like this electric blue 'Cobalt Blue'. They also contain Vitamin E which nourishes and protects the delicate skin around the eyes! So, that's everything I have to chat to you about! If you fancy trying any of these products do let me know. I'd love to see you all creating some cute Spring make up looks with these products! 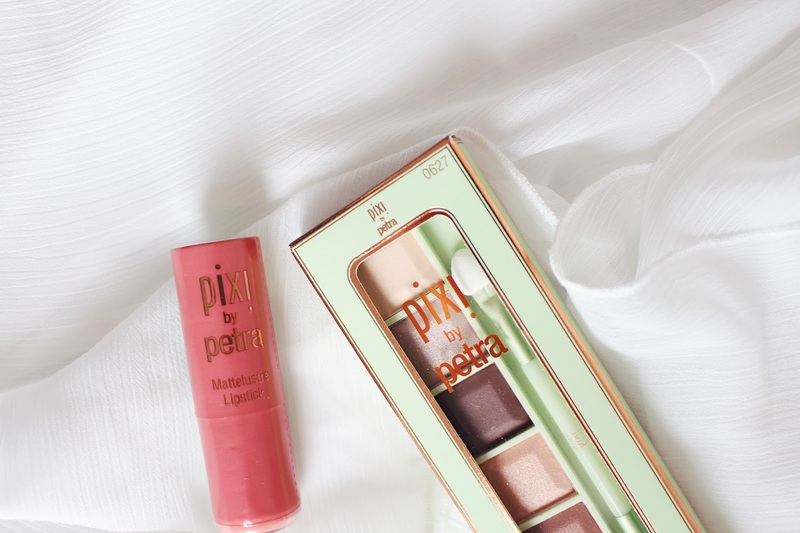 Also, as a little treat for you guys, Pixi Beauty is giving you all 15% off using the code 'pixiwearisma'! Go treat yourself! 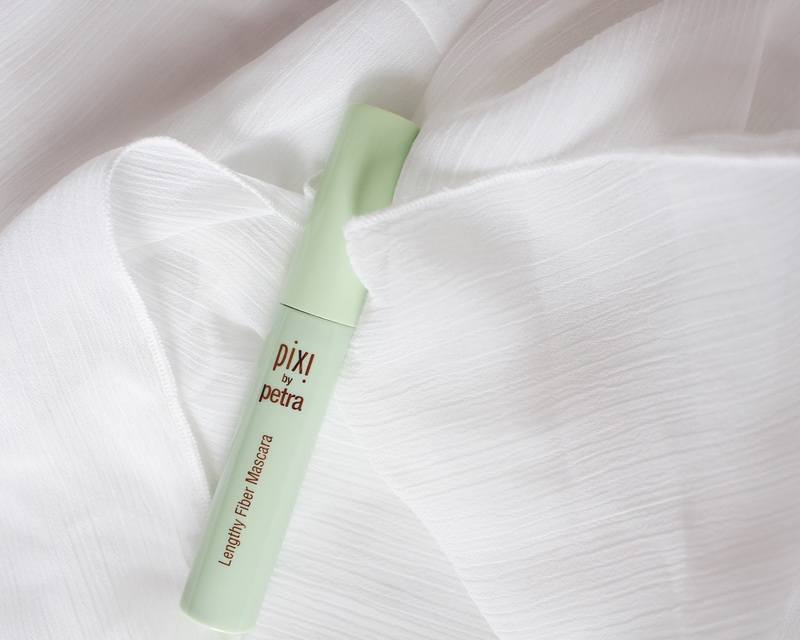 You can shop this post by heading on over to the Pixi Beauty website and also by signing up to the Wearisma app! OMG. I WANT IT ALL! All the products look so amazing and you look gorgeous! 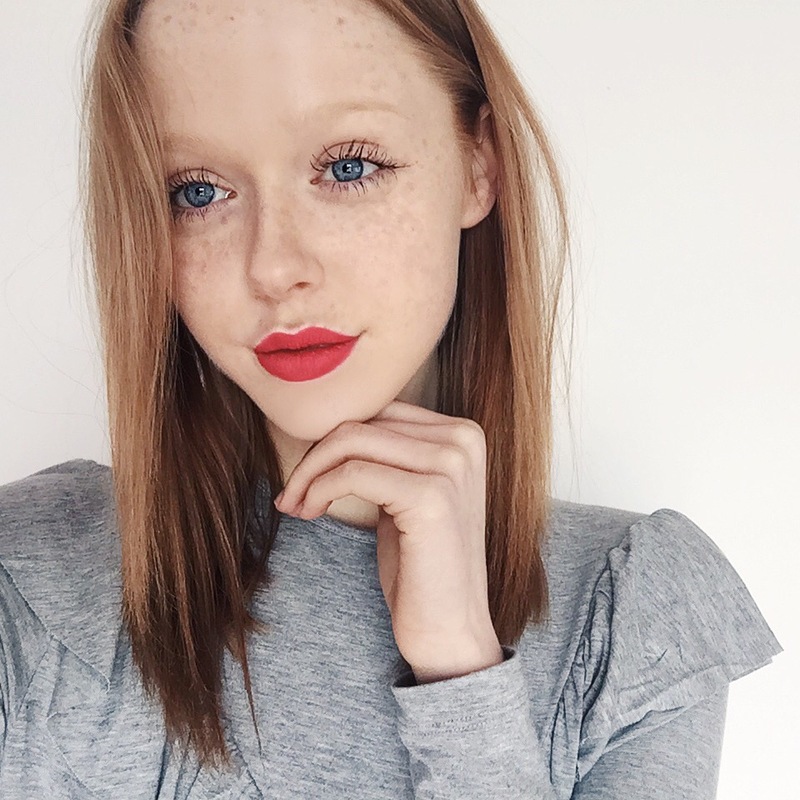 Especially loving the look of the lip colour and the mascara.